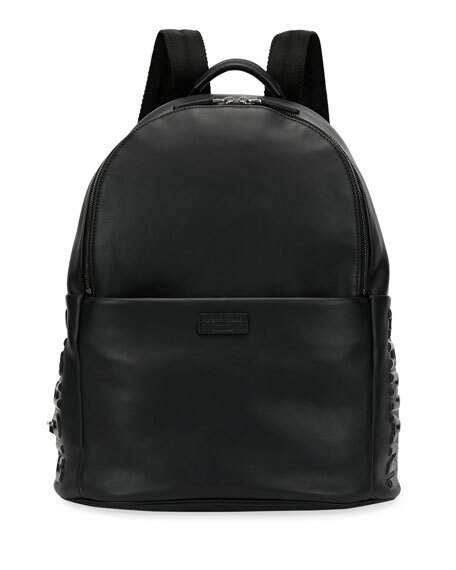 Giorgio Armani backpack in smooth calf leather with embossed logo at side. 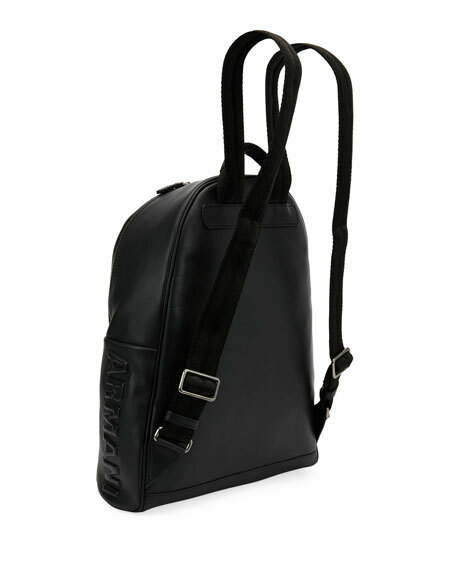 Padded, adjustable web shoulder straps. Front zip pocket with embossed logo appliqué. For in-store inquiries, use sku #2521501.